A combination of upright microscopes and imaging software bring customisable optical inspection routines for industrial and material science applications. Bringing flexibility to a diverse range of industrial inspection tasks, the new modular BX3M series of upright microscopes can be easily customised to suit any requirement – from a cost-effective workhorse to a high-end research system. 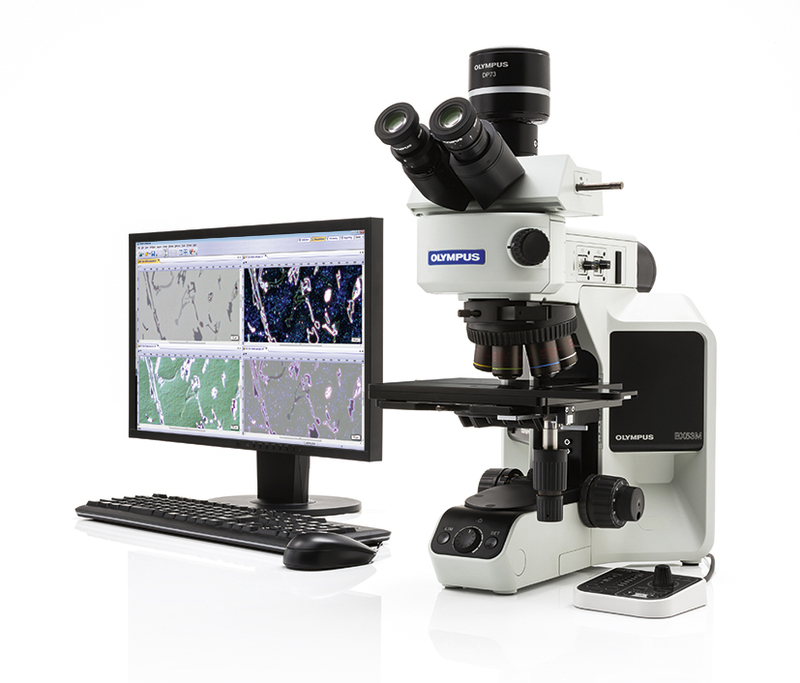 The user-friendly design now includes advanced illumination modes for in-depth and efficient analysis, and is ideal for use alongside the new Olympus Stream 2.1 micro-imaging software. Further facilitating operational standards and detailed inspection tasks, the new software works seamlessly with the BX3M to streamline the complete workflow, from observation through to measurement, analysis and report creation. In addition to a vast selection of traditional illumination modes, the BX3M includes innovative imaging techniques to enhance industrial inspection tasks, and is especially ideal for failure analysis of complex samples. To enable faster topographic and defect analysis, directional darkfield is made possible through segmented LED illumination, which provides flexible illumination from different angles. For samples with varying structures such as a PCB, Olympus MIX illumination delivers unrivalled flexibility, as directional darkfield can be combined not only with brightfield, but also with polarisation and fluorescence imaging. This enables the acquisition of colour, contrast and topographic information in one comprehensive image, making the invisible visible and benefiting a host of applications, from the analysis of composite materials to flaw inspection of semiconductors. Switching between standard observation modes is quickly achieved by simply turning a dial, with easily adjustable aperture settings and a new LED illuminator. Images can now also be visualised with 4K resolution for checking, sharing and documenting the finest structures with outstanding image size and quality, thanks to the latest technology of the Olympus UC90 camera. Reproducible results are guaranteed every time with the new Olympus Stream 2.1 software, which includes a new “Restore Device Setting” function, allowing the same acquisition settings to be replicated quickly and efficiently, even between different users. Alongside automatic calibration capabilities, this enables fast completion of quality assurance and quality control tasks requiring operational standards, for example in the automotive and aerospace sectors. Cutting-edge new features also include instant MIA for high-resolution visualisation of large samples exceeding the field of view – where a single large image is automatically generated while simply moving a manual stage. With the BX3M and Olympus Stream 2.1, hardware and software seamlessly integrate to form a customisable and expandable platform, user-optimised to deliver a fast and efficient workflow.